The couple was known for two contradictory things: making a fortune in the tough, litigious business of generic drugs, and giving a lot of it away to charity. Early local news reports said the police were considering the deaths a murder-suicide, which friends said amounted to character assassination. “There is absolutely zero debate in my mind, this was a double homicide,” said Linda Frum, a senator in the Canadian Parliament and a close, longtime friend of the couple. 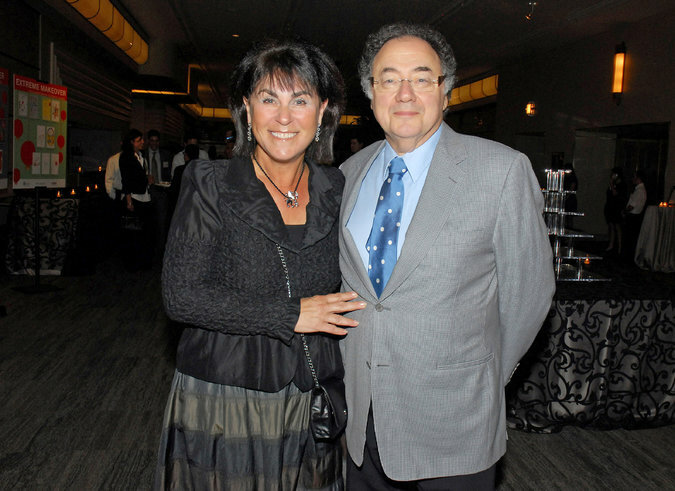 Last month, Canadian Business Magazine listed Mr. Sherman, whose name was Bernard but who was known as Barry, as the country’s 15th-richest person, with a personal net worth of 4.77 billion Canadian dollars. He had a reputation as a shrewd, combative businessman, a brilliant scientist and a consummate workaholic who, at 75, still logged long hours in the office most days. He appeared to have no intention of ever stepping down as chairman of Apotex, the company he co-founded in 1974 and built up from just two employees to more than 6,000 in Canada alone. The biggest Canadian-owned pharmaceutical company in the country, Apotex now makes more than 2 billion Canadian dollars in annual sales, according to the company’s website. Mr. Sherman was often in the news for his company’s voluminous lawsuits, aimed at opening the market to his generic versions of drugs, and its “at-risk launches” of generic drugs, flooding the market before litigation concluded. Friends described Mrs. Sherman, 70, as bubbly and vivacious. Born in a displaced persons camp to two Holocaust victims, she was passionate about Holocaust education and spent much of her time volunteering, sitting on numerous boards, including a university and a hospital. Though fabulously wealthy, the couple didn’t live like billionaires. They flew economy. Mr. Sherman drove a beat-up old car. And although they owned a grand house with a tennis court and two pools, it was modest compared with many even on their tree-lined, country-style street in the city’s north end. The one way they showed their wealth was philanthropy. The couple gave hundreds of millions of dollars to hospitals, universities, political parties and charities. They were fixtures of Toronto’s fund-raising event circuit. Mrs. Sherman in particular was known as someone who didn’t like to say no to a call for help. Just two months ago, Mayor John Tory of Toronto saw the couple at a ground breaking for a new Jewish community center the Shermans were instrumental in funding. He asked Mr. Sherman if he had plans to retire. “He said not really. He just loved his work,” said Mr. Tory, who found himself over the weekend at the opening of the city’s long-awaited subway extension, fielding media calls about the Shermans. The couple showed all the signs of an expanding, invested life. They were building a new home, helping plan their daughter’s wedding and celebrating the arrival of a third grandchild. They had booked a long vacation north of Miami Beach, Fla., where they owned a condominium and visited regularly. Mrs. Sherman, who was set to leave on Monday, sent out email to friends last Monday asking for dates to golf and dinner for the couple while they were there.